No baby yet. Just lots of this. ^ And life-saving back rubs from my mom and husband. I did manage to waddle into my midwife today though. Dilated and 90% effaced. I could have kissed the woman. The past 7 days haven't been for nothing! Any minute muffin, mama's ready. I'm so excited for you!!! Here's hoping it goes quickly when he's ready, I'm sure you're pretty tuckered out. good luck! can't wait to see pictures of your precious new addition!!! Praying for you! Can't wait to see the little guy and find out his name!! Goodluck! He will be here before you know it! praying for a safe delivery and healthy baby and mama! I feel like I've been waiting forever to meet your little fella!!! :)I'M SO HAPPY FOR YOU!!!! Go girl! Just hold on a little more, he's almost there and then you and Tyson can embark on the most amazing journey in life! You'll be amazing parents! ...just a little bit longer. Your in my prayers today. All the very best to you and your little (growing) family! Aww! I've been wondering about you! aw, this is all just so exciting!!! we're all waiting on pins and needles. you look beautiful and are glowing more than ever!!! Hang in there girlie!!! You are on the home stretch!! Crossing my fingers you will meet your sweet baby soon!!! oh so excited!! :) i pray everything goes well! You are such a trooper! Baby will be here before you know it - and it will feel like he has always been in your lives. Good luck and get lots of rest! Sending prayers your way! Best of luck...so excited for you! You're almost there! What a blessing indeed. Hang in there girl. Just keep your little boy in mind and you'll do great! Keep being strong girl! Best of luck and can't wait to see photos of your handsome man!! so excited for your little family. YAY! BABY!!!! You can do it! Sounds like you're almost there - I'm so excited for your little family : ) You'll do great! can't wait! so excited! good luck and we'll see you on the other side! and by the way, your hair looks so pretty curly like that. you are so cute! excited for you guys! what a sweet blessing coming your way! I absolutely adore your blog and am sending lots of love and well wishes for a safe and quick birthday for your little man! Congratulations to you and the hubby. Im so excited for you guys and to see how great of patents you are!!! You look so beautiful today, glowing. Good luck girl...will pray for a safe delivery for you both! Thanks for the quick update...I was so sure you must have already delivered...I've been checking back every hour since the last post...lol (yes, obsessed much). Congratulations! 90% effaced? Girlfriend you are practically there. Good luck! You'll to awesome. Having a baby and your hair still looks amazing! Can't wait to see your little guy! Good luck Syd!! That is so amazingly exciting!!!! I can't wait!!!!! YAAAY! Congrats!!! Can't wait to "meet" your little man too...wishing you a speedy delivery! so glad you're making progress!!! ahhhh!! so exciting - take care of yourself, and enjoy the moments... if you can! thinking, and praying for you, tys and the family (and the little nugget) in health and happiness. can't wait to meet (via your blog) they new addition. Yay! Good luck!! Can't wait to see his sweet face! YOU CAN DO THIS! i can not wait to see a picture of you and the little boy! Yay! Can't wait to meet him! Good luck!! Can't wait to see your amazing pictures of your little man! congrats! good luck, girl! so exciting! How exciting...praying for all three of you! Hello, Mrs. daybook! I love browsing your blog and seeing your adorable outfits. I have enjoyed (in a non-creepy way, i'm sure) watching you grow throughout your pregnancy. And now's the time! Good luck! I look forward to your post-birth posts. Gah! That's so exciting! I can't believe you're already about to pop, I feel like the reveal post was only a few weeks ago. Though, I'm fairly certain you don't feel the same way. I can't beleive it's almost time!! Yippie! I am so happy for you and your cute lil family to be! I know your baby will be as wonderful as you! Yay!!! So excited. Hurry little one! Take the time to make memories throughout this experience. It is beautiful and incredibly heart warming. It's like a wedding - you spend so much time preparing and then "the moment" happens in just minutes. Your baby is soon to come good luck best wishes! Like I've said before, yours is my current fave blog on the internet these days, and reading through your pregnancy brought mine- just 3 years ago! - back to mind. I was sure the little tyke had been born yesterday, ahah, and I'll be here rooting for the both of you. Stay strong, I know u can do it and I see in you the makings of an awesome mother. Go, Syd! To say we're excited is an understatement. Like waywayway understatement. We're praying for you. Lots. Poor girl you seem so tired! Take care, soon you will be a mommy!!!! i'll admit i was worrying. funny how you've got hundreds of thousands people waiting for this little guy to come. you're basically a celebrity. You are a hero momma! I'm so excited for this little man to finally be here! Good Luck! Excited for you.. pretty sure everyone thought the next post would be of your new little man. You are strong! i thought for sure yesterday would be his birthday! but still...so much excitement. Congratulations on your pending bubba, you still look amazing considering.Good luck with the next little while. So excited for you!! The non-post yesterday just made me think that your little guy had arrived!! how exciting! so you're making progress! it's pain with a purpose. i'm so excited to see the baby boy! and you'll do awesome. Yaaaay!!! We're so excited for you. Sending the three of you hugs and good birthing vibes! i will be checking your twitter compulsively over the next few days hoping for an update! well you still look pretty even if you are uncomfortable and in pain. Hope the little boy comes soon! can't wait to see him! Sending the very best wishes your way. I hope everything goes swimmingly with the birth! You are absolutely RADIATING beauty!!!!!! That little cutie is making us wait for so long, so happy your hubby and your mom are there for you, send you my best wishes! sending so many positive thoughts your way! can't wait to hear the good news!! I was just thinking that there is no way that baby is already about to come... but I just went back to may when you first posted about it and.. sure nough! it's bout that time! I can't believe how quickly time goes by!! I hope you enjoy that little bundle so much! They grow up too too fast. My niece is already almost 4 months old and it just seems like I met her for the first time... last week. We're all so excited to meet the little one! Can't wait for the name reveal!! And of course, his darling face. Sending all the love and prayers I can! I've been through it..twice in one year.. so i understand fully! This is so exciting! So very happy for you and wishing you well with the birth day! :) You go girl! Phew! Constantly refreshing your page was getting a little sad...so happy to hear you're well and on the way to baby land!! i thought about you today and was wondering if baby had made his arrival! so excited for you! Good luck sweet lady! So excited for your little man to get here! Praying for you guys!!! Can't wait to see pictures of your cute little man! Eeeek!!! So exciting! Yay! Good luck! All the very best! It's funny feeling excited for someone that you have never met, but reading about your journey has made it almost feel like we're friends! Funny how the world works. Good luck! i can't believe he's almost here! best wishes! i've been stalking your twitter to see if you had the baby yet! I feel guilty because you should be relishing this moment instead of worrying about whether we know if you had the baby or not. You're in our thoughts...here's to a speedy delivery and healthy baby! I've been stalking your twitter too! And, I agree with Nuha...don't worry about us. This is a be-a-U-tiful time!! I'm sure everything will happen soon and quickly for you. Best of luck and can't wait to meet the babe's on your blog! -JB. AHH! I can't believe he's almost here! So excite for you guys! So exciting!! Be strong! It's allll worth it!! !You're almost there!!! Good luck Sydney! We're all sending you good thoughts! Isn't it funny how in order to make it through becoming a mom, you need your own mamma there. What did Mother Eve do? you're gonna rock that delivery! i just know it. can't wait for baby to get here! oh Sydney! hang in there missy....you're soooo close! such an exciting time for you! big hugs and best of luck!!! Good luck Sydney! It will be over with sooner than you know it and then you'll have a little baby boy to distract you. Good luck Sydney! I hope you have a great delivery with no complications when it happens! Child birth is a beautiful thing...even if on the pain scale it beats everything else! You have a great husband that will help you through (you already know that though!). I know you have to be so tired!!!!!! You have no idea how many times I had been checking in on you constantly the last few days to see if the little Babe from heaven made his debut yet!!!!! I am beyond excited!!!!!!! I am keeping you in prayer, and believing without a doubt he will be here before the weekend is over, I just know it...... Almost over Syd!!!!!! So incredibly happy for you. SO exciting :) Boys are the best! How exciting!!! :) Good luck! I know you can do it! you are so close, beautiful girl! i cannot wait to "meet" this long-awaited angel. good luck pretty girl!! can't wait to see the little baby boy!! Hope everything goes safe and sound! Good luck I can't wait to see how cute he is! hang in there mama, you're so close! oh that lil man is a lucky one to have you two as parents. you are so beautiful! I can't wait for the announcement post! You are so tough Sydney! You got this girl. You, husband and sweeeet baby boy are in my prayers. Prettiest Foto ever! Good luck, You can do it! All the best, can't wait to see him! Good luck, keep going, almost there. :) . Sending prayers of strength to you and your family. Good luck! You'll see him soon! Best Wishes for a smooth delivery and speedy recovery! sending thoughts your way!! good luck!! Yay! Can't wait to meet him! Sending thoughts and prayers your way! Oh my goodness this is so exciting! Congrats pretty mamma! I'm so excited for you and so compassionate at the same time :-) This part will be past you very, very soon and all you'll have is memories. Wishing you all the best! oh my gosh... so exciting!!! I swear you will have your baby before me! I was due last Friday and am on the verge of nutsville. I can't believe I am saying this but I am jealous of your contractions. Many thoughts your way while we both wait it out. oh, yay you!!! how exciting. OMG! He's almost here! It's like we are about to meet him. It's wonderful! Wishing best health and easy delivery!!! It's almost embarrassing how often I check to see if you've had the baby... even more ridiculous because I don't know you but am obsessed with your blog. Best of luck!! Holy cow...you'll sneeze and that baby will be out :) or hopefully it's that easy. So excited for you guys! This is the best thing you'll ever experience in life, I promise. Becoming a momma for the first time is priceless! So excited for you Sydney!! Thinking of you and wishing you the best! Hang in there! Your pictures are amazing. What kind of camera do you use and do you use a certain photo editor? Congratulations on the baby boy. I'm do excited for you! You look gorgeous. Oh my goodness, is he here yet? So excited to see picture of him. What a beautiful mama you'll make. you're almost there! SO exciting! best of luck on it all, Syd! I can't get over the fact that your still so gorgeous even in pre-labor! i'll bet he's arrived, or close to arriving ;-) congrats to you and your hubsss :-) how exciting! Congrats and good luck! You will do marvelous! This is an amazing time in your life! Can't wait to see the beautiful little man! Never met ya, but I just think that you and your blog are simply adorable. I've so enjoyed watching your journey with this little man. Congrats! My thoughts and prayers are with you and your family during this exciting time! Can't wait to see him! Just came across your blog the other day and love it! 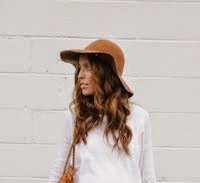 You are beyond stylish and your baby bump is the cutest thing I've ever seen! Good luck with the arrival of your little one. I can't wait to keep reading. Congratulations! Thinking of you! Stay strong, you can do this!! I bet you are so ready for this! Exciting times. Soon he's out. Hey there is is Tiffany from Doolittle Design. Hope you are doing well. This is the tough part, waiting, feeling big and tired. He will be here SOON and life changes forever, in a good way and you will change too. I can't wait to see you as a mommy. Good Luck!